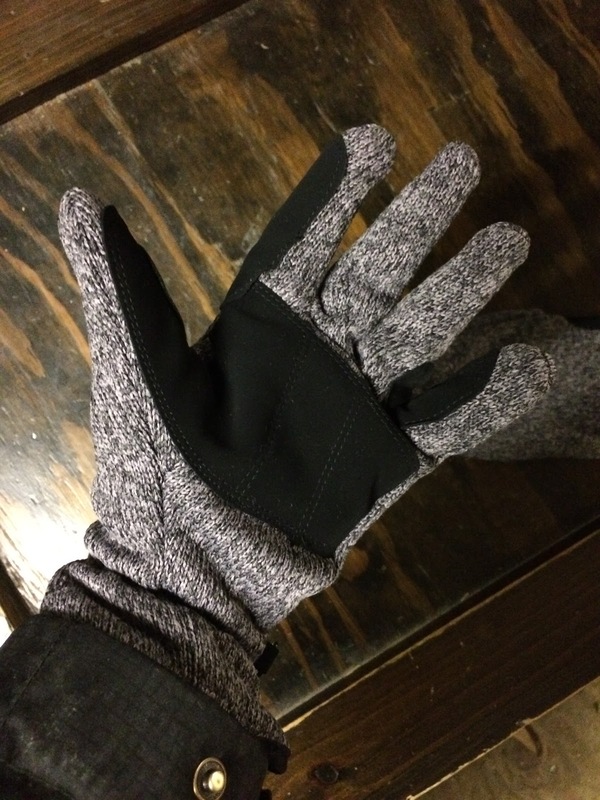 I’ve talked before about my big blind spot in winter riding gear: good winter riding gloves. This year, I set about fixing that, and so I have several pairs of gloves that I have been testing out to share & review with you. First up are these SSG gloves, a purchase with Christmas money. 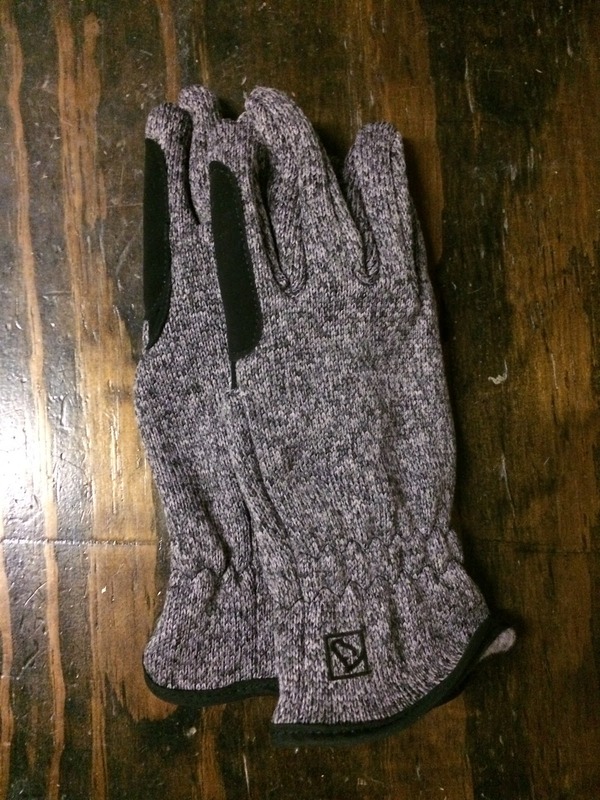 Years ago, I owned a pair of fleece-lined knit gloves that I adored, and have never been able to find since. (I bought them on clearance and suspect they were being discontinued; they didn’t even have a manufacturer’s tag on them.) I found these and hoped they would live up to those long-ago gloves. MSRP is $15.00 and I paid $9.56 at Riding Warehouse, so I really couldn’t go wrong. First impressions: I really like them. 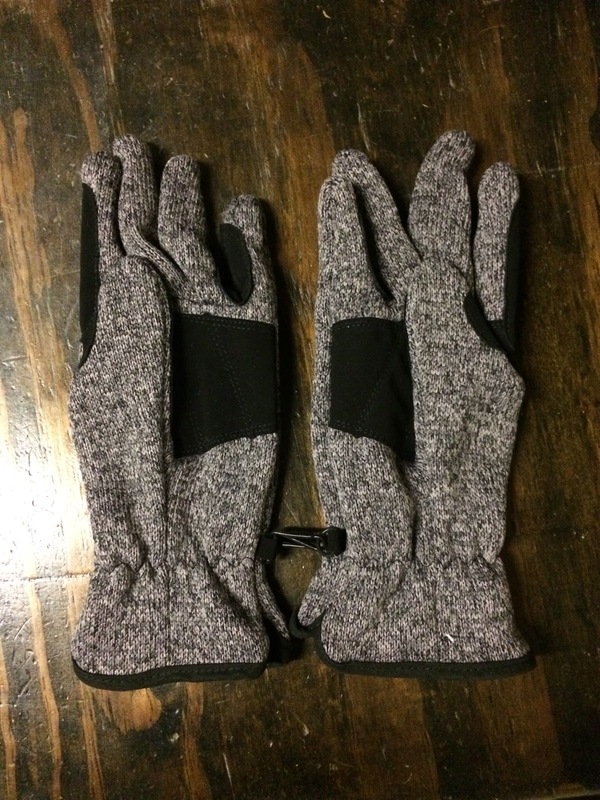 They are not my long-ago gloves, but they actually look kind of stylish. They are thin and flexible, which is great, and you can get a good rein feel through them. I’ve now ridden in them about 8 times, including a couple of road hacks outside, so here’s a longer list of pros and cons. Pros: they really are light and flexible, yet surprisingly warm. They held up to a short road hack outside in 25 degrees with a wicked wind. I like schooling in them, as I can really use my fingers. The cuff is long enough to be useful. Cons: they’re not waterproof, and the knit will not hold up to lots of barn chores like throwing hay or undoing anything with velcro. The seam on the index finger is unnecessarily bulky, but I found that this didn’t really bother me after a few rides; either I got used to it or it got mashed down. They’re also not really, really warm gloves. They’re middling gloves. I used them while longeing earlier this week and they did just ok; in situations where my fingers weren’t actively moving all the time, or I wasn’t exercising and therefore warming up my core, the fell short. They ran pretty true to size; I’m a 7 in SSG gloves, and the small was meant to be a 7/8. If I could get between an XS and a S I’d be happy, as these are just a smidge large for me. (I have TINY hands and short fingers, which is a perpetual challenge for me in finding gloves.) I’m not sure that they’re the highest quality and most durable gloves out there, but at $10 each they are miles and away a better value for the price than many $20 gloves I’ve seen.